If you are in the market for a new copier for your office then you are going to be presented with a number of options. Some machines may draw you in, but the payments are too high. Other times you don’t want to commit to a long lease right away. It’s times like these that getting a used copier from our little copier store in Spokane can be a great option for you. 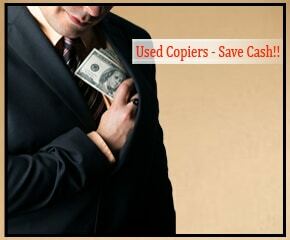 Our selection of used copier in Spokane can fit just about any need. We are carry the best selection from brands like Xerox to fulfill whatever your needs may be. We know we can find a used copier that fits your business. It’s not uncommon to have people feel uneasy about getting a used copier. They are afraid that they could get a machine that will fall apart, or that they are going to be stuck with someone else’s old problems. That won’t be a problem at Spokane Copier. We work with only the most responsible businesses and make sure that your copier is ready to be used when it arrives at your business. Used copiers fit a variety of needs. Getting a used copier from our store in Spokane is a great way to know you are getting the best used copier for your business. Reach out to us today and we can get your started on finding the perfect use copier for your business.